For the celebration of my mother's birthday not in a usual way we do, and in observance of the Lenten season, my family traveled to the highlands of our home province and visited the sacred grounds of Regina RICA. 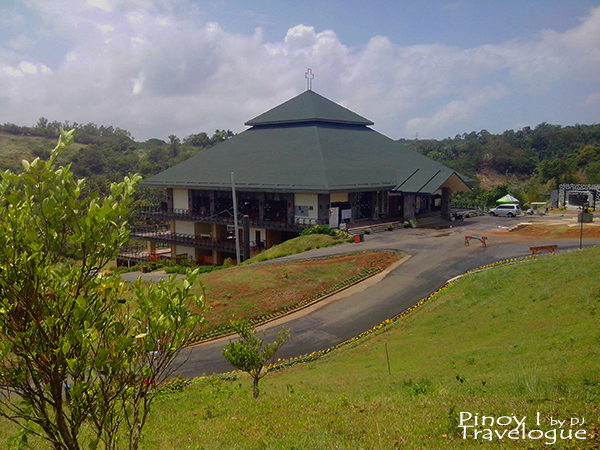 Regina Rosarii Institute for Contemplation in Asia, or simply Regina RICA, is a pilgrimage site situated on the hills of Tanay, Rizal. 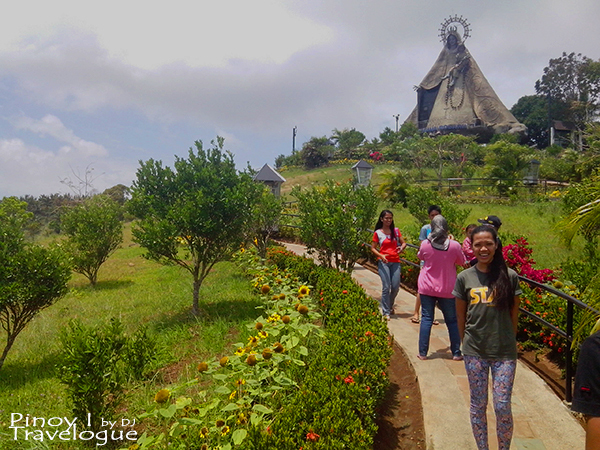 The 13.5-hectare land where the iconic 71-foot high statue of the Queen of the Holy Rosary sits on top of a hill was founded and maintained by the Dominican Sisters of Regina Rosarii. 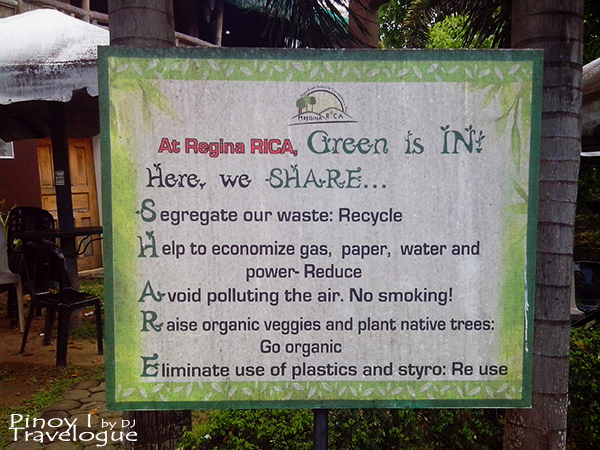 Regina RICA was developed to function as a place of prayer, an ecological sanctuary, and a wellness environment. 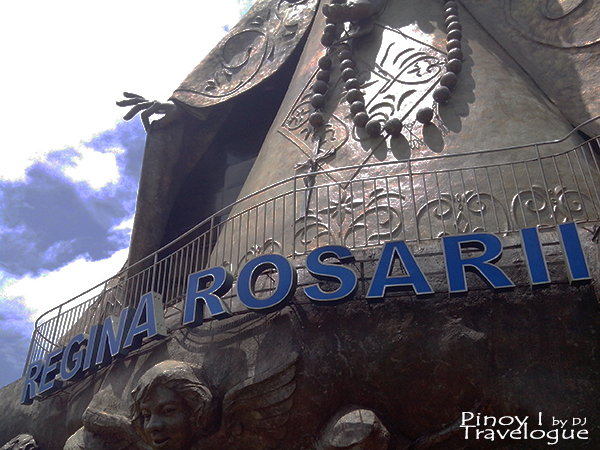 Before Regina RICA, there was the 30-foot revolving statue of the Regina Rosarii standing on top of the roof deck of the congregation's mother house in Quezon City. The members of the congregation have always been singing the Regina Rosarii hymn, "Oh the Lady is waiting on top of the hill" …yet the Lady stands on top of the roof deck. 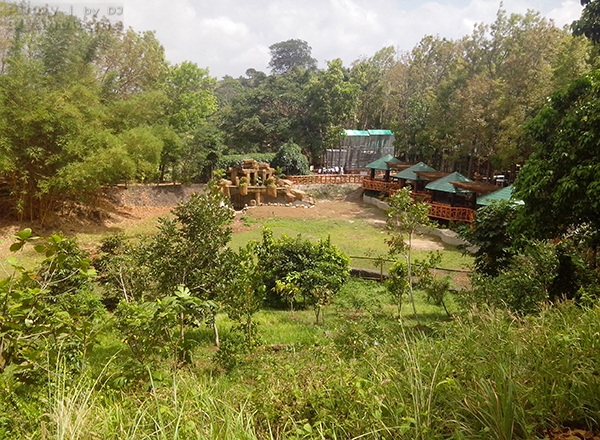 They searched for a land that would be a venue for their ministry and after looking through several properties, they had chosen the land in Tanay. And now, they have made good of what they are singing. The Lady stands atop the hill at Regina RICA. Mary's Sacred Trail or the "S Trail" is a winding pathway adorned with different kinds of colorful flowers leading to the giant statue of Our Lady. At the end of the trail, chairs were provided for pilgrims lining up to the entrance of the chapel inside the statue. But since we visited on a non-peak day, these chairs provided us a venue to rest and enjoy a view of the scenic Sierra Madre mountains. Pilgrims may also light scented colored candles and pray for their personal intentions in an area provided for. Inside the statue of Our Lady is an adoration chapel. The chapel was named as Sulod which is an acronym for Sanctuary of Universal LOve and Devotion as well as an Ilonggo word for "enter" or "inside". The construction of Sulod was inspired by the Dominican tradition of Our Lady's protective mantle that shelters Her devoted children. Inside the chapel stands a wooden Absence Presence Cross. Picture taking is not allowed inside and silence is totally observed. 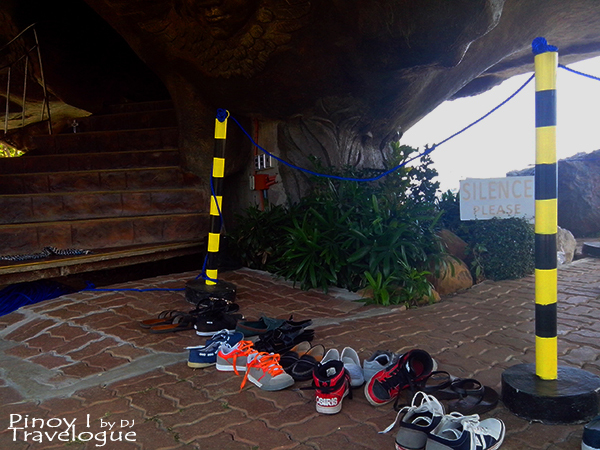 Visitors are also asked to take off their foot wears before entering the chapel. Sulod is closed to pilgrims whenever the Holy Mass is celebrated at the Regina Rosarii Chapel. 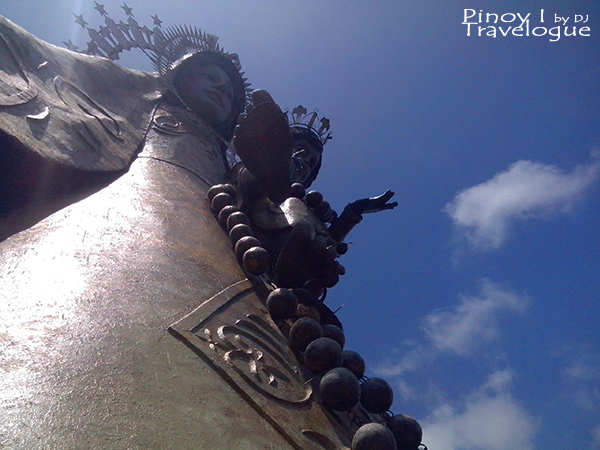 UPDATE: During a side trip in February 2016, the statue of Our Lady was under construction. It's mantle has been extended to cater more visitors and provide an area for orientation prior to entering Sulod. 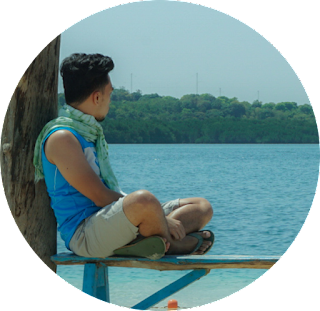 Photos of my second visit is in Pinoy Travelogue's Facebook page. The present Regina Rosarii Chapel stands on the same ground where a makeshift tent chapel once stood. A story narrates that in 2010, a typhoon ravaged the tent and completely destroyed it which led to the transfer of the celebration of the Holy Mass on the woods of Regina RICA. The trees sheltered them for months before the completion of the present chapel. 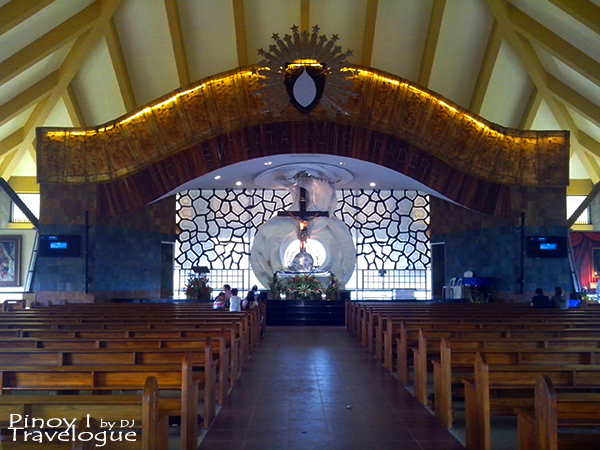 Regina Rosarii Chapel was designed also as a tent, a symbol of God "pitching His tent" among his people. The construction of the chapel was completed with the help of donations from devotees and pilgrims. The Holy Mass was celebrated at the Chapel at 11 AM during our visit. That was a Thursday. Another path that leads to the statue of Our Lady is the Way of the Cross. 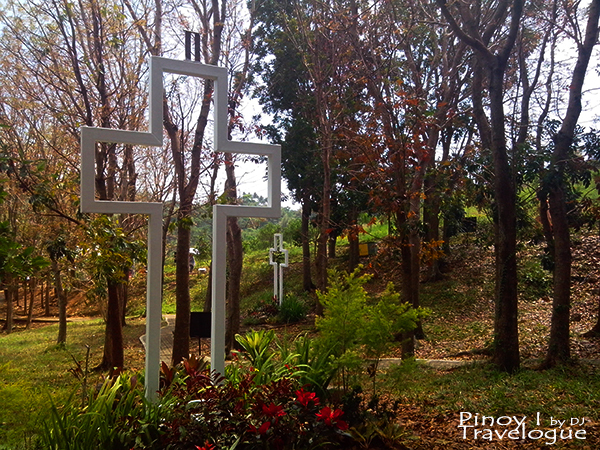 The 14 stations of the Cross stand along the winding roads throughout the hills of Regina RICA. Following this path gives a glimpse of all the facilities of the place. Pilgrims flock Regina RICA during Holy Week to retrace Jesus Christ's final journey to the Calvary and reflect on His passion, death and resurrection through the Way of the Cross. 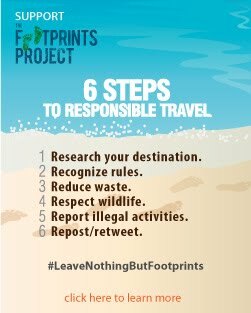 Regina RICA is home to 10,000 trees, 3 waterfalls, an organic garden where organic vegetables are grown, a koi pond, several animals like rabbits and peacocks, a flower garden, several gazebos and other amenities that promote wellness to its visitors. Entrance to Regina RICA is free. 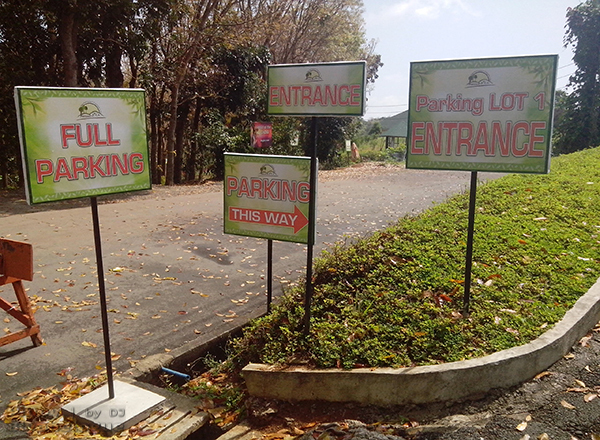 However, a parking fee of PHP 50 for cars and PHP 20 for motorcycles are being charged for the maintenance of the place. 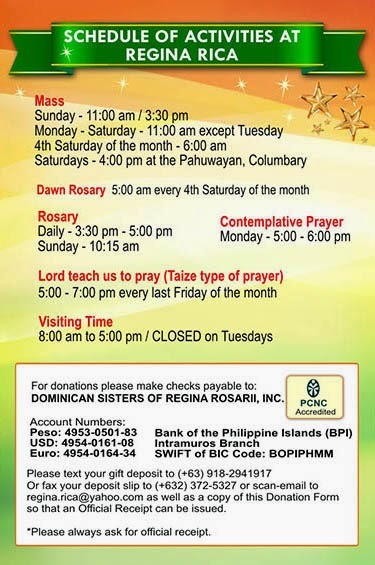 Regina RICA is closed every Tuesday except Tuesday of the Holy Week. During our visit, the place is less crowded but it may get bursting with pilgrims and devotees during the Holy Week and Sundays. Parking areas may be full and looking for a place to park may get difficult. Walking through the hills of the RICA land is the best way to feel the solemnity of the sacred ground. But for those who cannot take walking up and down the hill for a longer time, shuttle services are available for a minimal fee. 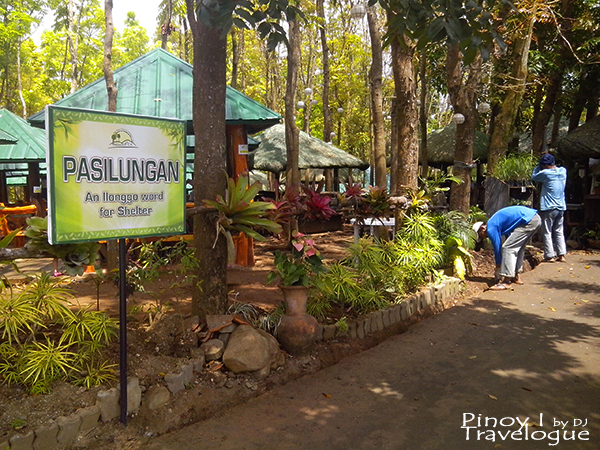 Foods and refreshments can be bought in a small hut they named as Pasilungan. However, the menu would not be that delightful for meat lovers especially during the Lenten season. Outside foods are not allowed inside the hut. But guests may bring and enjoy their own food in the cottages adjacent to the Pasilungan. They named this area as Handong, which I believe is also an Ilonggo word. 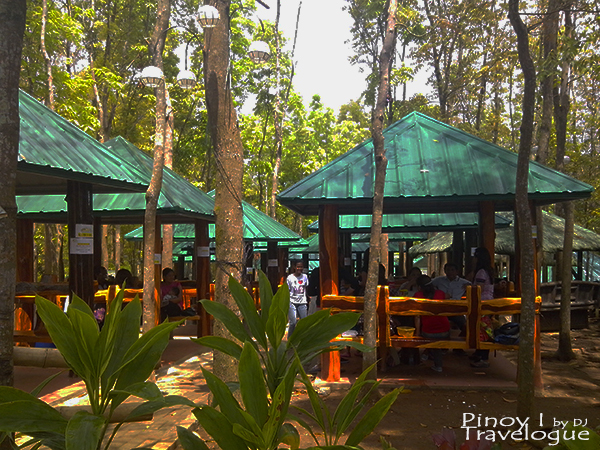 UPDATE: During a side trip in February 2016, Pasilungan already caters more visitors as the small hut has become a three-story building. Photos of my second visit is in Pinoy Travelogue's Facebook page. 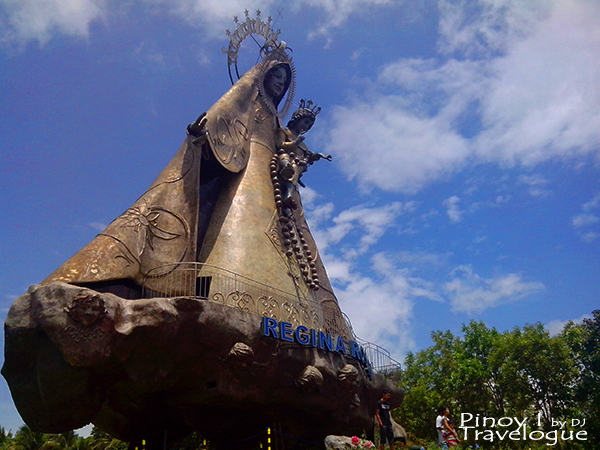 Regina RICA is located along Tanay's piece of the scenic Marilaque Highway. 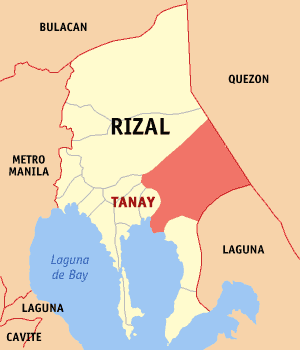 From our home in Binangonan, Rizal, we hopped on a Tanay bound jeep and traveled for almost an hour before reaching the town proper. We then took a tricycle going to Regina RICA and traveled uphill for 30 minutes. Going home, we took the alternate ride. We took a tricycle at Regina RICA going to a jeepney terminal near the Sampaloc barangay hall and took a jeepney bound for Tanay town proper. 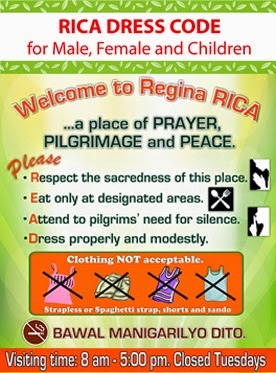 Regina RICA is usually a 2-hour drive from Manila. 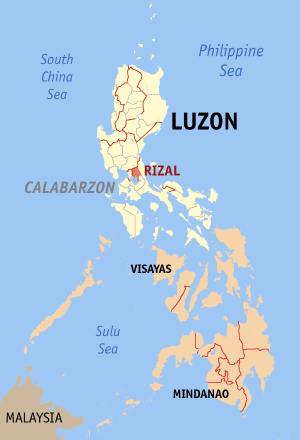 It may be reached either by passing through the towns of Angono and Binangonan or by passing through Antipolo City and the town of Teresa. For other directions, visit the website of the Dominican Sisters of Regina Rosarii.